Myprotein’s affiliate program saw the launch of their ‘Global Brand Ambassadors’ initiative in 2016. This was a campaign designed to capture the attention of fitness influencers in the US market. This initiative leveraged ambassadors’ social networks to promote the company’s products, drive sales and build brand awareness. The protein market is one of the fastest growing in online retail. The market for protein ingredients, in terms of value, is projected to reach $58.5b by 2022, at a CAGR of 6% from 2017. Tapping into social media audiences was an excellent way to further establish a foothold in this online retail market, growing brand awareness and pushing endorsement to a mass consumer base through ambassador’s social following. 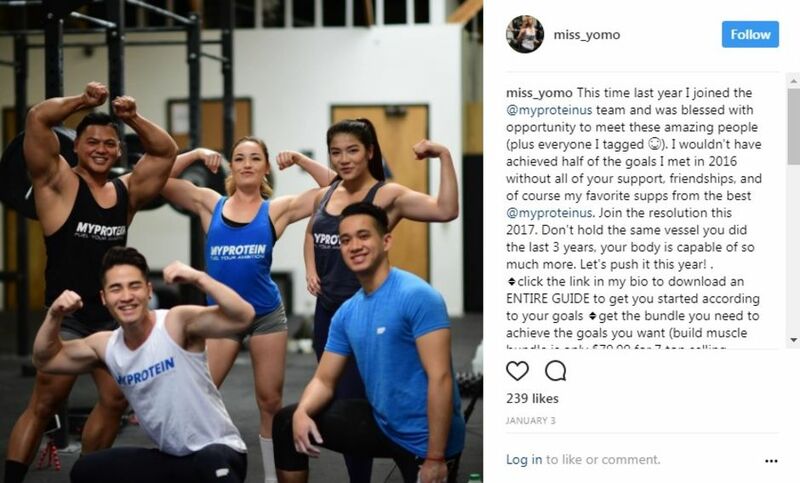 Working alongside Myprotein, Awin provided ambassadors with hashtags, content, samples and coupon lead promotions to use in social content. Integrating social activity and affiliate strategy allowed us to bring the two channels closer together, amplifying brand awareness and word-of-mouth marketing while enabling ambassadors to earn through a performance model. This was a success story of combining affiliate activity, social content and influencer marketing to deliver performance-based brand advocacy to an engaged audience. This is one of many affiliate marketing case studies we share with our publishers and advertisers.